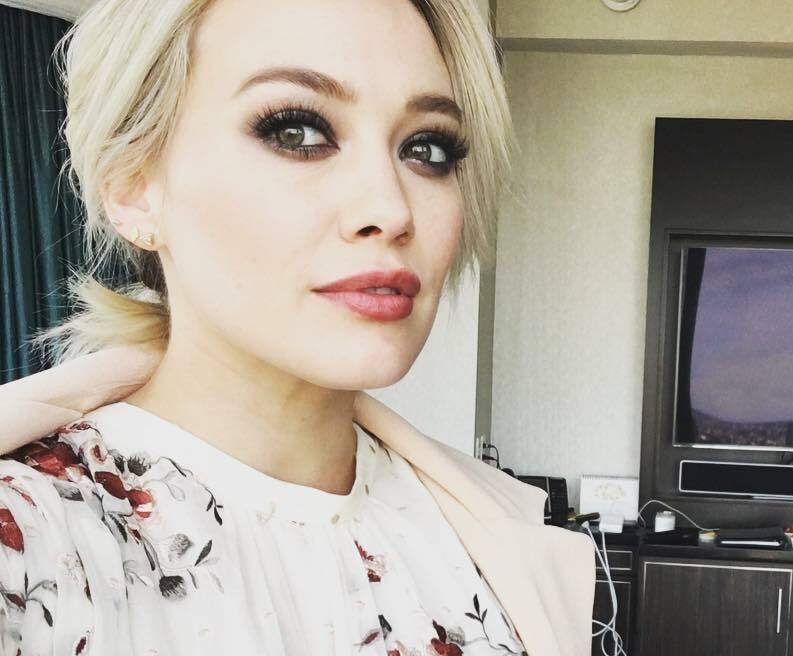 Hilary Duff: inspiring our fashion choices since she first appeared on TV screens in 1998 (as Wendy from Caspar Meets Wendy, of course). Hilary then continued to bestow countless fashion gifts upon us as Lizzie McGuire. And how could we forget when Hilary *~finally~* had her Disney princess moment in A Cinderella Story? Today, Hilary unveiled these part-classic, part-modern, all-around-trendy glasses on her Instagram page as she simultaneously solidified her spot on all our fashion mood boards. The frames are from GlassesUSA.com and Hilary is wearing the Eliot style. We were pleasantly surprised to see that the glasses are $89 (which includes the lenses) – especially since most celebs typically splurge on eyewear we surely cannot afford. Though her stylish snapshot is in black-and-white, it looks as though Hilary is wearing the tortoise/gold color, but the frames also come in black/gunmetal and black/gold. Plus, we absolutely love the hexagonal detail that can be seen on the front edge of these spectacles. In the end, all we have to say is that Hilary Duff’s style will most definitely withstand the test of time.